The Milwaukee-based company is one of a number promising flow batteries as a solution to storing power on the electricity grid. ZBB Energy Corp. (AMEX: ZBB) said Thursday that it is seeking $47 million from Department of Energy stimulus funds to put $94 million into its existing zinc bromide flow battery factory, as well as a new facility. The Minneapolis-based company makes a class of batteries that share some characteristics with fuel cells. Flow batteries move an electrolyte through a reactor that converts their chemical energy to electricity, and then recover spent electrolyte for recharge. ZBB said the DOE funding would allow it to boost its annual production capacity from 20 megawatt-hours of production capacity to 300 megawatt-hours of production capacity. 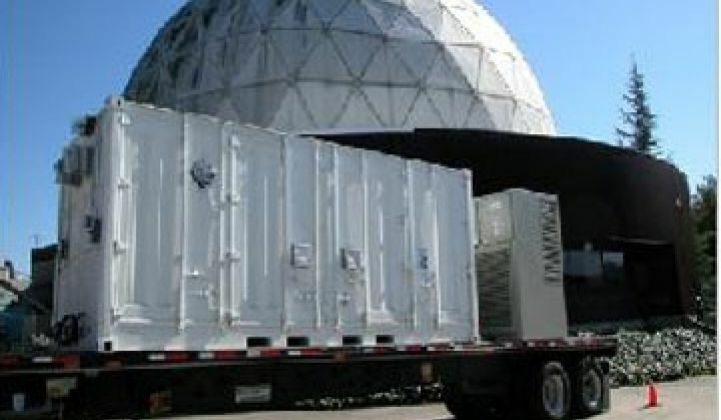 ZBB tested its 500-kilowatt batteries with California utility Pacific Gas and Electric in 2006 – a test the company said was successful in 2007. Since then, ZBB has landed contracts for its 500-kilowatt and 50-kilowatt batteries, including a $2.6 million project with the Australian government, as well as projects in Ireland, Cote d'Ivoire and South Africa. It also has an agreement to supply its batteries to power management company Eaton Corp.
Flow batteries are seen as a potential technology for large-scale stationary storage, including the growing field of electricity grid storage. Fremont-based flow battery startup Deeya Energy landed $30 million C round investment earlier this month, aimed at expanding its current market powering cell phone tower in India, as well as developing larger-scale storage devices (see Deeya Energy Raises $30M: Flow Batteries for India Cell Towers). The technology is becoming attractive for large-scale energy storage because of its relatively low price compared to other types of batteries, said Sam Jaffe, analyst with IDC company Energy Insights (see Top 10 Smart Grid and GE Aims At Energy Storage For Trains, Grid). The weakness of flow batteries so far has been their relatively low efficiency, meaning that they tend to lose a higher portion of the energy put into them than do other battery technologies, he said. ZBB is among the lower-cost flow battery makers out there, Jaffe noted, and the company "has been in the trenches for awhile, doing their pilots. For the applications where it sits, they appear to be one of the first choices." ZBB has been seeking ways to expand its manufacturing capacity for some time, he added. Beyond ZBB's flow batteries, a number of companies are looking to zinc as a prime material for energy storage devices. Switzerland's ReVolt Technology and Lawrence Berkeley National Laboratory spinout PowerAir are making zinc air batteries (see Electricity From Air and Zinc? A Growing Chorus Says Yes). PowerGenix makes rechargeable nickel-zinc batteries shaped like regular AA batteries which are now available at Ritz Camera stores, and ZPower makes silver-zinc batteries that could be an option for laptop computers (see Rechargeable Zinc Batteries Hit Shelves - At Camera Stores and Zinc: It's Hot!). Premium Power is another company seeking to develop zinc bromide flow battery technology for large-scale energy storage.